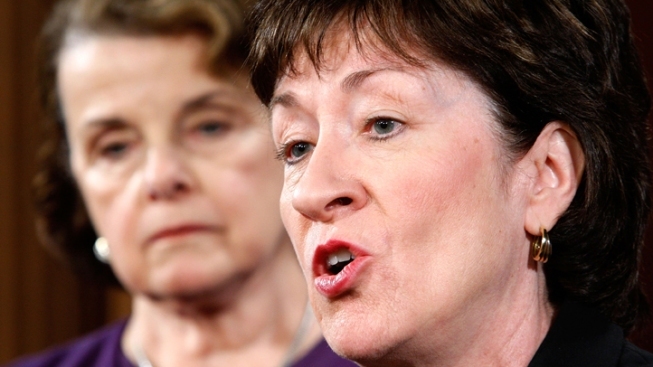 She said the remarks are in conflict with what she called "American values"
U.S. Sen. Susan Collins is the latest Republican to reject GOP presidential candidate Donald Trump's comments about the ethnic background of an American federal judge. Trump is insisting that U.S. District Judge Gonzalo Curiel, whose parents were born in Mexico, cannot be impartial overseeing the class action lawsuits against Trump University. Curiel's ethnicity, Trump says, puts him in conflict with the presumptive GOP presidential nominee's plan to build a wall with Mexico. The Maine senator Monday called Trump's comments "absolutely unacceptable" and in conflict with what she called, "American values." "Donald Trump's comments on the ethnic heritage and religion of judges are absolutely unacceptable," Collins said in her statement. "His statement that Judge Curiel could not rule fairly because of his Mexican heritage does not represent our American values. Mr. Trump's comments demonstrate both a lack of respect for the judicial system and the principal of separation of powers." Other Republicans, including Senate Majority Leader Mitch McConnell and House Speaker Paul Ryan, have rejected Trump's remarks and urged him to unite the GOP. Curiel has not commented and Trump's legal team has not sought his recusal from the case. Trump on Monday said he's only defending Trump University from relentless questions from reporters and others.